Use the form below to tour Jerusalem with Moshe. 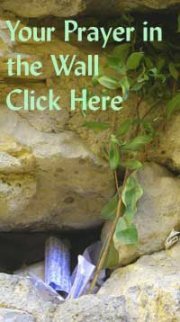 When you're looking to tour Jerusalem, what is the most important quality to look for in an Israel tour guide? The answer is simple: the ability to communicate. A good guide knows how to engage the listener, keep them interested, and bring them on a journey that they will never forget. Moshe Rothchild is a master communicator with years of experience as a teacher, informal educator and even as a stand-up comedian! His ability to tell a story and his infectious enthusiasm come together in order to bring history to life in full vibrant color. 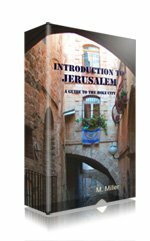 Moshe's grasp of history, Bible and geography allows him to guide expertly through the streets of Jerusalem and tour Israel from North to South. "Israel is all about the story. Every place you go to, every stone you step on is saturated with the stories of the different groups and people that lived in and ruled over Israel. If you listen carefully you can hear the stones talking. Many people tour Israel without a guide and they miss so much. They don't know the stories and gloss over much of the depth, richness and beauty of the land"
Moshe's love for travel has brought him all over the world. He has run educational programs in the former USSR, Prague, Poland and Australia, where he lived for several years. 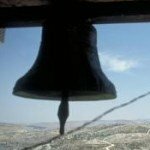 "Nothing, however," says Moshe, "can compare to Israel. 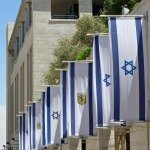 Israel is unique in its depth and breadth of history, culture, and geography." When you tour Jerusalem with Moshe you get to see the real Israel, in all of its variety, and not just the typical tourist destinations. 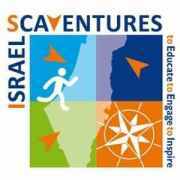 His specialties: Families with kids, groups, tours off the beaten path, routes that follow the Biblical narrative, the four quarters of Jerusalem, and meaningful Jerusalem holy sites for Christians and Jews. By the way, Moshe's other passions are guitar playing, storytelling, and sports. "Moshe found the perfect blend of fun and exciting activities, combined with meaningful historic and religious significance. From my four children, my wife and myself, to my parents, we all departed with a deeper love and greater understanding of Israel." Effy Z., NJ. "This was the best trip to Israel that I have had due to our guide, Moshe, who is a master storyteller who makes you fall in love with Israel; the land and the people." David L., CA. 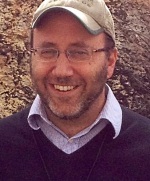 Whether you are planning your first trip to Israel, or the latest of many, you are bound to have a unique and unforgettable experience with Moshe as your Israel tour guide. When do you plan to be in Jerusalem? Ages of people in your party?